Nobel Prizes will be announced this week. The Nobel Prize in Medicine will be announced on Monday. The Nobel Prize in Physics will be announced Tuesday. The Nobel Prize in Chemistry will be announced Wednesday. The Nobel Peace Prize will be announced Friday. 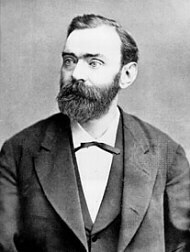 The Nobel Memorial Prize in Economic Sciences will be announced on Monday, October 9. Martin Luther King, Jr. was awarded the Nobel Peace Prize in 1964. 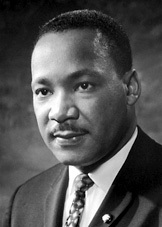 The youngest person (at the time) to receive the award, he contributed the award money to the civil rights movement. Older children can read his acceptance speech at: King Nobel Speech. Elie Wiesel was awarded the Nobel Peace Prize in 1986. Older children can read his well-written acceptance speech at: Wiesel Nobel Speech. UNICEF Day has been observed by Presidential Proclamation since 1967. Trick-or-Treat for UNICEF (United Nations Children’s Fund) began in Philadelphia, Pennsylvania, in 1949. The organization received the Nobel Peace Prize in 1965. UNICEF helps children in over 190 countries, and the organization worked to eradicate polio in over 120 countries. Trick-or-Treat for UNICEF has raised over $188 million since its inception. Children can learn more at: http://www.unicefusa.org/. 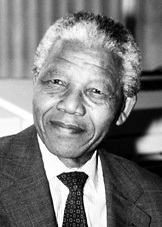 Nelson Mandela was freed from prison in South Africa in 1990. He had been in prison for 27 years due to his anti-apartheid activities. He received the Nobel Peace Prize in 1993. He was elected president of South Africa from 1994 to 1999. He died on December 5, 2013.